DECEMBER 2003 - At a Special Meeting of the Connecticut State Grange Federal Credit Union on Nov. 20, 2003 it was voted to merge into the Nutmeg State Federal Credit Union effective January 1st, 2004. This merger will provide expanded services to the current members of the Connecticut State Grange Federal Credit Union and current members of the Grange in Connecticut. 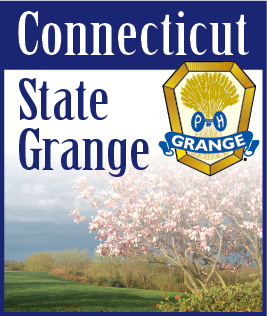 Additionally it provides an enhanced benefit to prospective members of the Grange and is an exciting opportunity for Connecticut Granges. The Nutmeg State Federal Credit Union will be sending information packages to current Credit Union members during December.